Ableton Suite is a complete software studio.Suite 8 gives you all of the features in Live 8 plus sound, with aradically new Library packed with beautiful new sounds and a wealthof useful resources. Suite 8 contains 11 Ableton instruments andeffects including synths, a sampler, electric and acoustic drums,mallets, numerous sampled instruments, the new, reworked Operatorand amp modeling effects. Two completely new instruments, Collisionand Latin Percussion, round off the set. 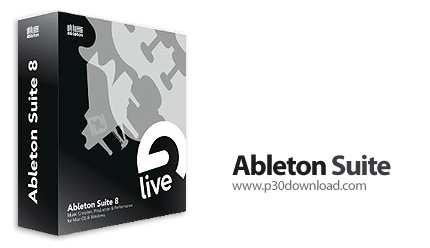 Ableton Suite 8 is acomplete package: the tools and the sounds.